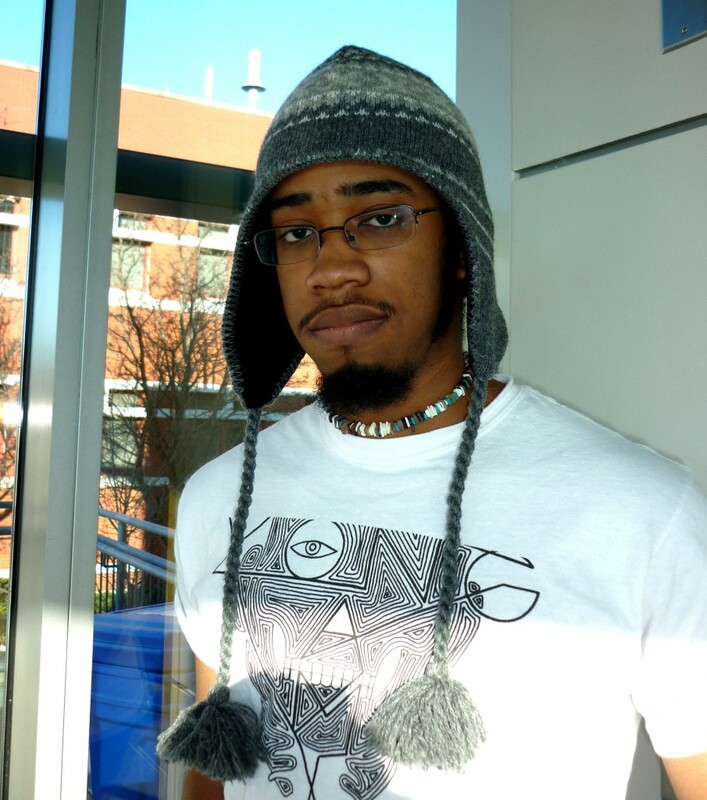 Originally from Baltimore, Maryland, Wallace is a Senior pursuing a major in Computer Science. When he's not studying, Wallace likes to make music, cook, or work on designing and developing new games. I knew right away that I wanted to study CS. I almost switched majors after a really bad semester, but after looking at my life and goals I was able to get my head on straight and perform in classes. Graphics and Interactive Graphics. I can take abstract ideas that make no sense and could never happen in real life, and I can make them into something you can experience again and again on your desktop/laptop/iPad/game console. I used to regularly attend the Game Development Club. I’ve attended DEVICE club meetings to give informal speeches about goal oriented software design and development. I’m currently performing research in the VANGOGH, MAPLE and IRC labs. I am currently a part of a group in the CSEE department performing Artificial Intelligence research on displaying complex predicted data. You could normally display a data set using a 2-Dimensional plot. However, when every point of data has several types of information describing it how do you boil that down to two values to use for the X and Y position? Is it possible to display all of the information for each point in the plot? These are the kinds of questions we are looking to answer. On the team, I’m responsible for the graphics. It has been very interesting to work on. I’ve had to develop a lot of graphical user interface code that can work alongside a program that both performs its own renderings and manages its users interactions. The work can become stressful when you have things due for classes or tests to prepare for but that’s just about the only problem I’ve had since joining the team. I am also wrapping up an internship with the Imaging Research Center that was centered around developing an iPad application. The goal was to create a means of augmenting live performances that can facilitate users having iPads during the experience. Specifically, we wanted to find out if what users experience at Symphony Orchestra performances could be improved or made more interactive. There were a large amount of skills I had to pick up quickly for this internship. The platform and operating system (Mac and iOS) were both alien to me. I’ve never even owned an Apple product. I was experienced on Linux systems though so the transition wasn’t bad. Getting adjusted to the iPad was troublesome, as was learning its predominant programming language Objective-C. We spent a lot of time early on designing both the product, projected milestones, and how our time would be best spent. Through solid choices in the code-reuse of existing tools and libraries we were able to make the most of our resources and get great functionality out of the device. I received a large amount of support from both artists, designers and systems specialists on staff in the lab. They made many of our results possible. After graduation I plan to take some time to sit down and give my all in order to design and develop a complete game. I’ve learned a ton as an undergraduate but I haven’t had any time to seriously commit to a project. Developing well distributed games that tell new stories. Beyond that, probably anything else computer graphics related. I thought it was ok. I knew I wanted to be a Computer Scientist to create games, but I didn’t know that the CSEE department here was as good as it is. I first came to UMBC around 2008 to be with my girlfriend who is also a student. When I was on campus I mainly enjoyed walking to class or a friend’s room or apartment. An introductory C++ class in high school. I did terrible. I passed but I didn’t understand most of what was going on. Probably Advanced Computer Graphics. I recommend all of the required CS courses. They all cover material that you need to internalize and use to increase your ability as both a Computer Scientist and as a programmer. The department has great courses. The professors have in my experience all been driven individuals who genuinely want you to learn their course’s material. Go to office hours for extra help and they will give you great assistance. First, accept that you don’t know anything. If you're confident you know something, accept that you don’t know it well enough or know enough about it. Attack class work and assignments with immediacy and vigor. Start projects the day they are assigned and bug the teachers daily about your progress. You need to have a specialty. If CS was an infinite ocean, then your specialty would be a boat with a compass. Without a specialty, you’ll just be aimlessly swimming around. Find something you can do with computer programming that interests you and begin buying books and browsing web forums about that topic. With these books get as much experience as you can developing complete applications on this topic. Do all that, feed your curiosity, let your weird run wild, and you will find yourself both academically and intellectually in a very good place.